Rodney Leer, Brenham Independent School District, USA "CACHEBOX gives great performance - my network has been stable for 2 years now"
Vinit K, IT Manager, Shivnadar Foundation, India "The pre-sales support we received was great, answering all our questions on functionality and deployment"
Appointed CEO in 2001, Mike has an extensive general management background built over 30 years. He has worked in many industries, in both small and large companies, with significant exposure to all key business functions and in-depth experience in strategic marketing, sales, financial control, organisational and operational design, and IT systems implementation. Previously he led two company turnarounds, as a consultant led major organisation restructuring projects in large companies including the transformation of BP in the early ‘90s and was Global Head of Business Development for APV, leading marketing in 40 countries. His early career included a number of technical roles. Mike has an MBA from London Business School. Magdalena has been passionate about delivering excellent customer service since her early experience in the luxury retail sector, working for super-brands such as Harrods and Christian Dior. She joined the ApplianSys sales team in 2005, initially focusing on DNSBOX sales, which she still heads up today. As Sales Director, Magdalena has developed an international team of sales professionals to deliver on her vision of ‘Sales-as-a-Service’: a world-class consultative service where “putting customers first” is not simply marketing hype. Roger is a veteran sales and marketing all-rounder with a background that spans director-level roles in education technology, financial services and sport. A member of the ApplianSys advisory board since 2004, Roger joined our team full-time in 2010 to lead e-learning technologies. His responsibilities include product management for the market-leading CACHEBOX for Schools edition, feeding customer insight and sector trends into the product roadmap. Building on a lifelong passion for education, Roger has been instrumental in the evolution of ApplianSys’ connected classroom technologies, developing a wealth of e-learning expertise along the way. He advises national authorities on internet-enabled education challenges, helping them to avoid the connectivity overspend and rural digital divide that so often lead to project failure. Roger collaborates with these authorities and their delivery agencies and content providers to implement the technology, deployment and configuration strategies that cost-effectively deliver improved learning outcomes. Much closer to home, Roger is Director of Huish Episcopi Academy and advises on the Somerset County Education Authority ICT Steering Group. Dave is responsible for identifying and growing new markets for ApplianSys. Prior to joining ApplianSys Dave held sales positions at Whitechapel Computer Works, Digital Equipment, OnStor, and set up Northern Europe operations at MIPS Computer Systems. Dave holds a BSc in Physics and a Masters degree in Computer Science. 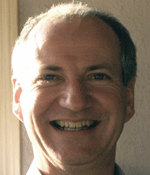 Grahame was part of the team that started low cost Internet access in the UK in 1992 at Demon. 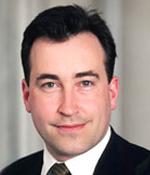 He was later Managing Director of Easynet Group plc where he was in charge of organic growth strategy and acquisitions in the UK and mainland Europe.Grahame has had seats on both the Internet Watch Foundation board and the Nominet Policy Advisory Board. Grahame is currently non-executive chairman of London Internet Exchange (LINX), the largest and most successful Internet exchange point in Europe and Chairman of ISP Lumison. 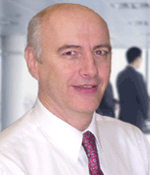 Richard is a Chartered Accountant and CEO of a business, focusing on industrial brands. He is a non executive director of Centro, the west midlands passenger transport authority and was deputy chairman of Advantage West Midlands, the regional development agency. Prior to his current role Richard held positions at Price Waterhouse and 3i working with a portfolio of fast-growing entrepreneurial firms. 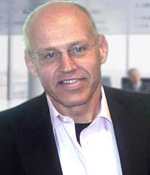 Hugh Ross is Managing Director of Market Planning International, a specialist marketing agency. Prior to that he held a variety of positions with BMRB International, Schering- Plough and ICI Fibres. 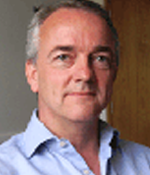 Hugh recently completed 6 years as non-Executive Director of Traidcraft plc, the UK’s pioneering Fair Trade organization. He is on the training faculty of the Chartered Institute of Marketing. 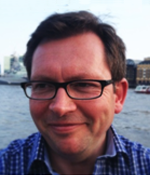 Working as a consultant facilitator, coach and learning & development manager, Rob specialises in improving business relationships and helping individuals to extend and reach their potential; driving organisations forward. Rob is accredited by Performance Consultants and is qualified in various psychological tools such as Myers Briggs Type Indicator and the Torbert Leadership Development Framework. Other clients include Coca Cola, HSBC, PriceWaterhouseCoopers, BG, Laing O’Rourke, Grosvenor, European Central Bank and Cadbury’s. Since 2000, Daniel has worked at the forefront of the DNS, DHCP & IPAM (DDI) industry. Daniel’s breadth of experience as a customer, reseller and vendor has made him a respected industry consultant. He has been heavily involved in developing multi-vendor solutions for high-end enterprise environments and small specialist environments. Before joining ApplianSys as a specialist adviser, Daniel formed the EMEA Professional Services team for a large, international DDI vendor. Andy is an expert in technology marketing with broad International experience. Before joining ApplianSys Andy was Head of Digital Products at ViewSonic Corporation. 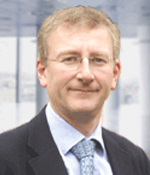 He has also held senior management roles at Fujitsu Siemens, Xerox Europe, Compaq, Virgin Retail and GAME Ltd.
Keith is a Professor of Strategic and International Management and Entrepreneurship at London Business School and formerly Executive Director of the School’s Foundation for Entrepreneurial Management. 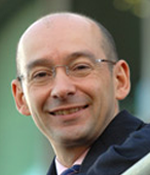 He leads the Managing the Growing Business and New Technology Ventures courses. Tim and has gained extensive experience over the last 20+ years, leading and assisting technology companies. He holds technical advisor and non-executive director roles in a number of software & systems companies, and continues to be in demand internationally as a consultant, team leader/mentor and speaker in the UK, Europe and USA. Tim holds a doctorate in Mathematics from Oxford University. Ed Moore is a serial entrepreneur with a track record of initiating technology based startups. Previously a Partner of Frontiers Capital venture fund, Ed was responsible for technical input and due diligence reviews. He has 15 years blue-chip experience in IT operations management, working for Carphone Warehouse, the Bank of England, SmithKline Beecham, Union Bank of Switzerland and 3Com.